When I began to think about the phrase “books and babies,” it immediately reconfigured in my head to the tune of “love and marriage.” “Books and babies, books and babies…” It got stuck in my head, which was unfortunate, because the next line to come to mind was “go together like a bat and rabies.” I’m not sure Frank Sinatra would approve. 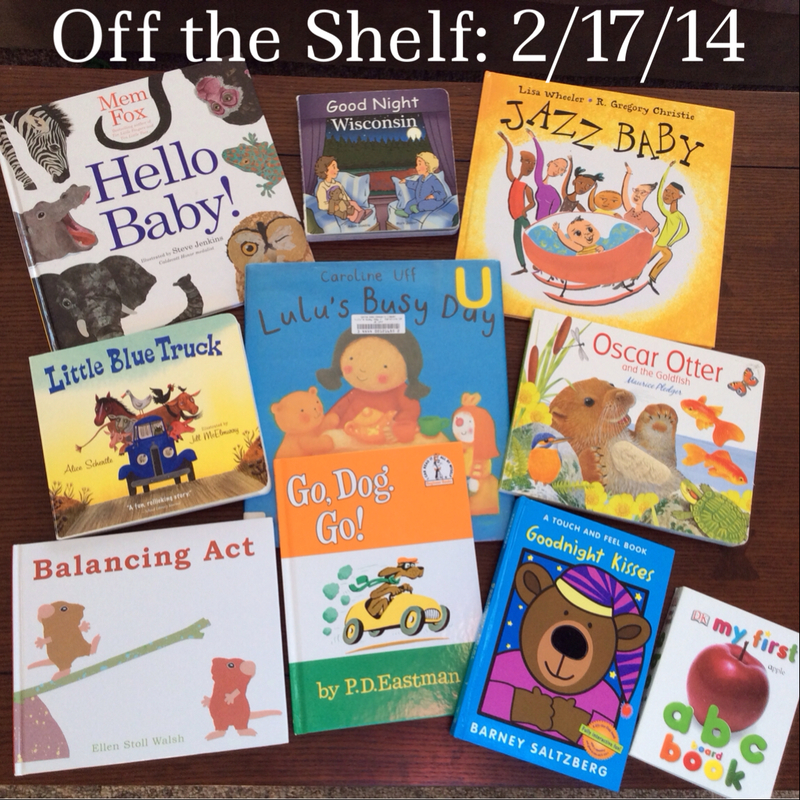 At any rate, when the lovely and witty mama writer Katey of Kateywrites asked me to do a guest post for her series Raising Readers Monday, I knew exactly what I wanted to explore as my topic: books and babies. It is never too early to begin reading to babies. Even newborns. 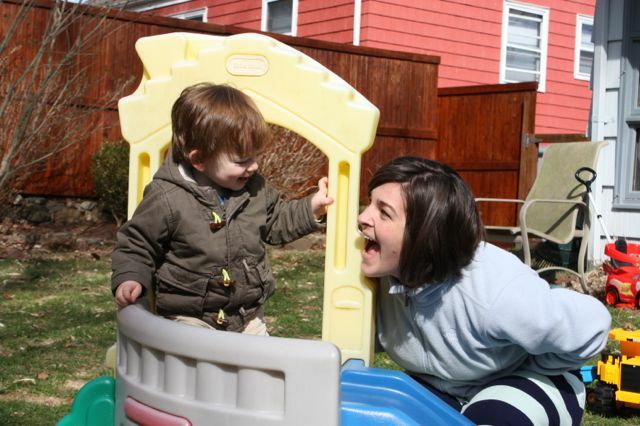 They benefit from the visual stimulation of the pictures before them, the rhythms of the words and narrative, the act of being held and cuddled, the sound of a parent or caretaker’s voice. 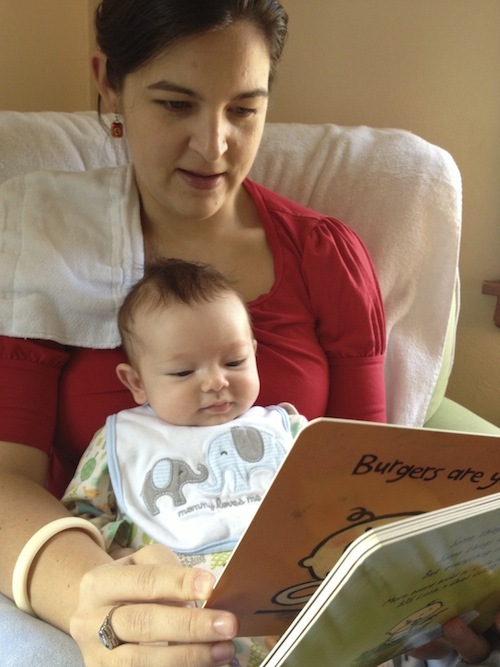 As far as literacy goes, babies begin to learn about the orientation of a book, the way the pages turn, and that books have particular sound patterns that go along with them, long before they can even fully absorb a story. Enjoy the cuddles, and don’t worry if your baby wants you to turn the pages quickly. Just because they are speeding through doesn’t mean they aren’t enjoying it, as well. It might mean exactly the opposite, in fact! My son loved the collages and rhythms of Dancing Feet! by Lindsey Craig and Marc Brown long before he had the patience to listen to every word. But that didn’t matter. Eventually he wanted to hear all the words, too, but in the meantime we skipped around or did a speed reading version, which made me laugh. It remains one of his favorite stories. Above all, have fun when you’re reading together with your baby. Have fun watching them read with others, too. Have fun watching them decide story time isn’t for them on a particular day and crawl or scoot or squawk at the library instead. 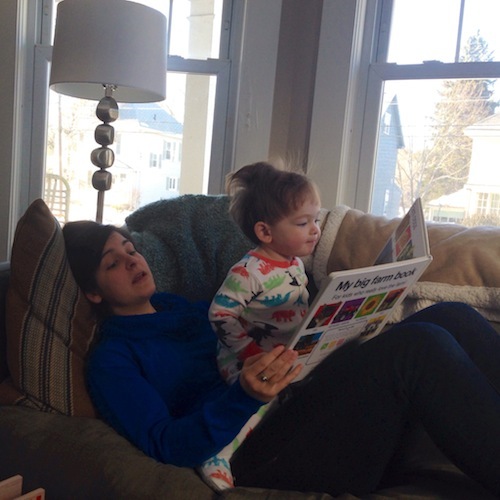 Parenting a baby…it’s a precious time, an anxiety-ridden time, a time that I wanted to speed read on some days, and on other days to linger on each page, each word, each image. Read the full article, which includes suggestions for making book selections for the youngest readers, interpreting your baby’s opinions on books, and ways to incorporate story into your child’s life. Take some time to explore Katey’s blog! I have already learned so much from her, and am honored to share a small corner of her online thought space. The second I lay down on the couch, my 18-month-old toddler, rocking some stylish bed head, runs over with one of his favorite books and climbs up. Wheeler, Lisa. Jazz Baby. Illustrated by R. Gregory Christie. Orlando: Harcourt, Inc., 2007. Plot: “Bitty-boppin’ Baby” claps, dances, and eventually snoozes to the jazzy music-making of his family and neighbors. Literary Quality: With boisterous rhymes and toe-tap worthy rhythms, Lisa Wheeler’s text bounces off the page and begs to be read aloud: “Mama sings high. Daddy sings low. Snazzy-jazzy Baby says, “GO, MAN, GO!” So they TOOT-TOOT-TOOT and they SNAP-SNAP-SNAP and the bouncin’ baby bebops with a CLAP-CLAP-CLAP!” R. Gregory Christie’s gouache illustrations bring further music to the page with their depictions of a multi-generational family passing around a happy, spunky baby. Warm colors outlined in broad-stroked lines that contrast against plentiful whitespace, these paintings carry forth the playfulness and energy of the narrative. As the story winds down and the “Drowsy-dozy Baby” drifts off to sleep to the soothing arms, smiles, and voices of his family, readers will be reluctant to return from this imaginative celebration of music and love that transports and inspires. Audience: I would recommend this book to readers ages 1-8. A perfect read-aloud for a classroom or story time, but with family at the center of it, a great book for the home, as well. 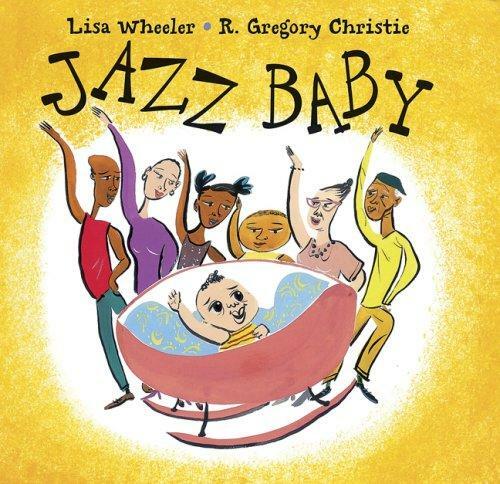 Personal reaction: Picture books that take on music and sound are my favorites, and Jazz Baby ranks among the top of that list. It is fun to read, to actually say the words which tickle your mouth and in tempos that get your body itching to move. This story is one of my son’s favorites, as well. At 18 months, he dances (bounces) when we read it, and claps and chimes in with an enthusiastic “OH YEAH!” at the end. In other words, he has been converted to a jazz baby, himself. Hall, Michael. My Heart Is Like a Zoo. New York: Greenwillow Books, 2010. Plot: A heart can hold so many feelings, so many animals. 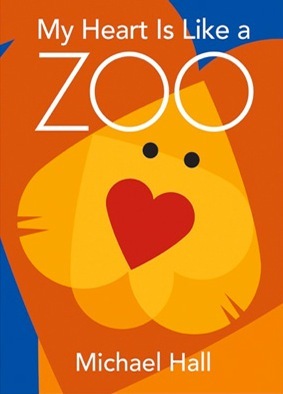 Literary Quality: “My heart is like a zoo– eager as a beaver, steady as a yak, hopeful as a hungry heron fishing for a snack.” Thus begins a fun and silly exploration of the heart and all its feelings, and the animals it resembles in each state. A mix of the expected and unexpected (my heart is…”crafty as a fox, quiet as a caterpillar wearing knitted socks”), the text will delight readers and listeners. If Hall’s writing were not enough to draw children in, the bright, bold and colors of his illustrations would do so in a jiffy. Each animal is composed of a collage of hearts, perfectly complementing and paralleling the text (and offering inspiration for a post-reading craft!). When the story ends, “tired as a zookeeper who’s had a busy day,” the illustration reveals that the animals are actually in a child’s bedroom, a child who sleeps. A lovely reflection on emotions and art, this book will help children express themselves in myriad ways. Plus, children will enjoy counting all of the hearts they can find! Audience: I would recommend this book to readers ages 0-5. A wonderful way to help young readers think about their feelings. Personal reaction: I gave My Heart Is Like a Zoo to my son as a little Valentine’s Day gift this year. I love the use of the heart as the central theme of the story and as the mode of composition for the illustrations! This is the kind of book my boy would have loved from day one, when he only liked books with big blocks of color. I immediately picked up a copy to send along to a friend’s new baby, as well. Ehlert, Lois. Snowballs. Orlando, FL: Harcourt Brace & Company, 1995. Literary Quality: In Snowballs, a child describes waiting for the perfect snow day and the process of creating a snow family, including the family pets. From the opening page, which asks, “Do you think birds know when it’s going to snow?” Ehlert’s large-print text is conversational, and her collages are big and colorful. The collages also change orientation, using full two-page spreads vertically to depict a single snowman. When the sun comes out, the background changes from grey to bright orange. The the story and illustrations combine to make a great read-aloud where children are viewing the book from a distance and ready to respond to the narrator’s questions and observations. 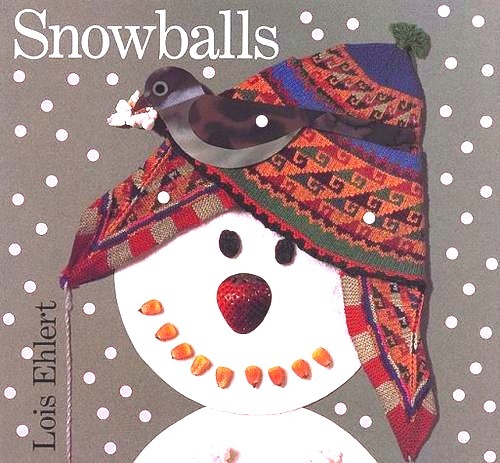 Kids will especially enjoy Ehlert’s edgy, funny snowmen. In addition to snowman supplies such as hats, scarves, sticks, and pinecones, the narrator has saved objects like seeds, nuts, fruit, popcorn and dried corn kernels, washers, compares, toy car wheels, plastic fish, and a necktie. Readers will have fun recognizing the every-day materials, and find great inspiration for either their own collages or snowmen! The picture book includes a visual index of the “good stuff” to save for snowmen as well as information about snow and photographs of snowmen. In these final pages we see supplies, mittens, and gloves from all over the world. The board book edition does not have these fabulous appendices. Audience: 0-8. A great read for a snowy day, or a day stuck at home, as it provides activity ideas for both indoor and outdoor play! Personal reaction: Snowballs is a favorite winter story in our house. Even as a baby my son loved the book, I think because he found the stark contrast in the collages stimulating. The big white circles with bright splashes of color are appealing to little eyes! The story has good rhythm, too. Now, at a year and a half, my little guy still loves the book and we play outside in the snow whenever we can. Of course, he has more interest in sliding down a big snowball than continuing to build it into a snowman, but hey, a snowball is a snowball! We’ll get to the snowman stage eventually. McQuinn, Anna. Lola at the Library. Illustrated by Rosalind Beardshaw. Watertown, MA: Charlesbridge, 2006. Plot: A little girl and her mother share a special routine on Tuesdays when they go to the library. Literary Quality: Lola at the Library describes a routine that many children and their parents or caretakers know in some variation. And hopefully it introduces a routine to many more! McQuinn’s simple text in large bold typeface is appealing to young readers. The bright acrylic illustrations bring us into Lola’s world at her perspective. We only see the upper half and faces of adults (and then only her mother) when they are at Lola’s level — waking her mother up in bed, sitting down for a treat at a cafe, and reading a bedtime story. The effect keeps the focus on Lola and a child’s worldview. This is a celebration of routines as much as it is of libraries, and should hit a chord with any child (or adult!) who loves the patterns of their days. It is worth noting that the board book edition of Lola at the Library lacks the complete story and is not nearly as rich as the picture book. Audience: Ages 1-5. 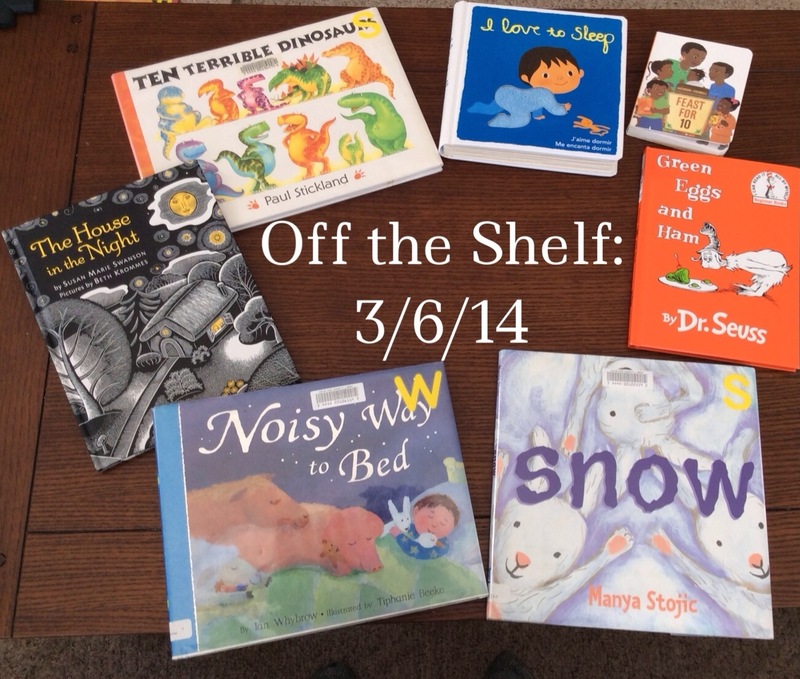 A great book for storytimes, bedtimes, and every time in-between. Personal reaction: I know you’re not supposed to judge a book by its cover, but it was the cover of this book that totally drew me in, so warm and inviting. But it was the cover of the board book I was looking at! After a bit more research I realized how much better the picture book was and I’m so glad that I got a hold of it. My son and I go to storytimes at different libraries multiple times a week most weeks (we are fortunate to have some wonderful libraries in the surrounding area! ), it is my favorite part of our day-to-day routines, and it was exciting to find a book that captured that experience. 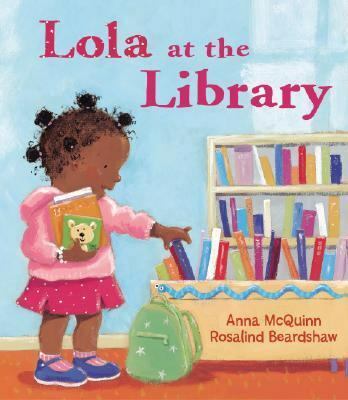 I look forward to the day my little boy will pack his own library card and books into his bag just like Lola!